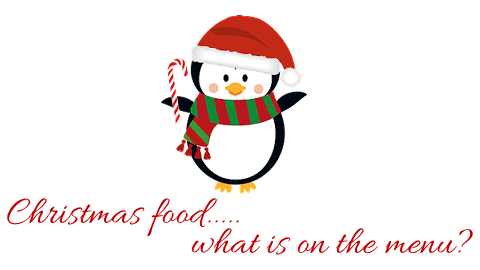 Diary of a Stay at Home Mom: Blogmas 2014 - Day 11 Christmas food...what is on the menu? Blogmas 2014 - Day 11 Christmas food...what is on the menu? Good morning ladies, come on in and let's talk about food. Well, let's continue talking about food because we have kind of been talking about it non stop since the beginning of Blogmas LOL Or at least, I have been talking about it. Today we're concentrating on the Christmas Eve and Christmas Day menu. Are you ready to share yours? Dinner will be Cod Fish, probably with potatoes and egg, not sure yet how we will serve it. I can't wait to hear about your background traditions in the post coming up!! Absolutely wonderful menu! Everything sounds so festive. Love the look of those cinnamon roll pancakes. Delicious! I am hungry, too, from reading everyone's delicious looking menus. yummmm what a delightful sounding spread!! oh gosh those cinamon rolls! !